Copyright ©1978 Barrie M. Schwortz Collection, STERA, Inc.
Sunday, February 23 to Tuesday, February 25 were three days that are a little surreal to me now when I think back upon them. I do not believe it is often that a publisher has the opportunity to help provide a greater understanding and search for truth on a topic more important than this. 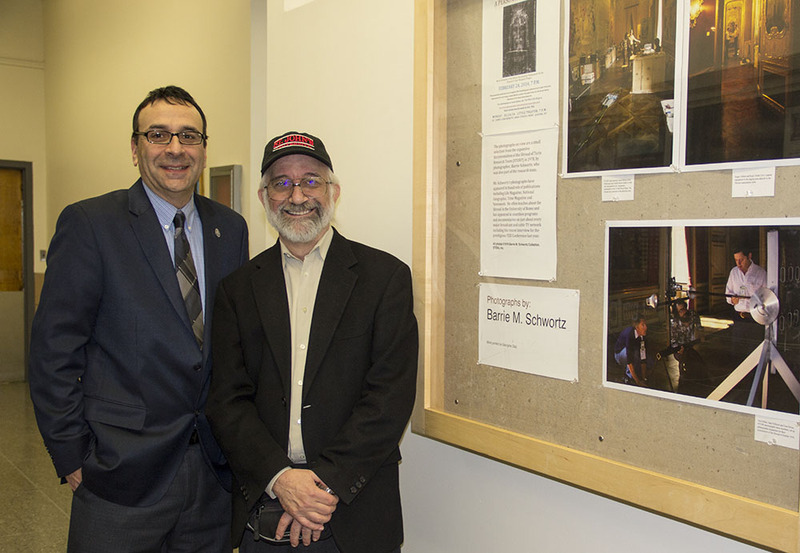 On Monday evening, because of my publishing business, I had the honor to introduce Mr. Barrie Schwortz for a presentation that BBV Publishing arranged at St. John's University in New York. Mr. Schwortz is the official photographer who went with the U.S. science team (STURP) to study the cloth known as the Shroud of Turin. I became friends with Mr. Barrie Schwortz in early 2012, when Mr. Schwortz was kind enough to assist with confirming facts about the shroud. This friendship developed when I was editing the historical novel we recently published here at our new Eco-friendly Press. The novel is called: Upper Room, The Way: 33AD to 57AD by L. J. Williams and the Shroud of Turin is the theme. All proceeds from the sales of this novel go to charitable causes. Mr. Schwortz then continued with his scientific presentation. He exposed all the misinformation including the Carbon Dating test that was done on only one piece of cloth made up of a different composition from the rest of the shroud and contained dyed cotton. This tested material had been proven to be woven onto the shroud in the 1300's. So it was not the Carbon Dating test that was incorrect, but rather the piece that was used for the test. Then after Mr. Schwortz systematically provided facts, some of which have never been reported by the media, there is no doubt that Shroud of Turin is 2,000 years old and covered only one man known as Jesus the Christ. Still to this day, the scientific community can not explain how the image on the shroud was created and not one person has come close to reproducing the image with all the unique qualities it holds. The presentation was a huge success. The audience was completely diversified with scientists, students, clergy, professors, and laypeople. Everyone was consumed by Mr. Schwortz presentation that was not only factually accurate, but filled with passion. His images brought about laughter and tears throughout the presentation. BBV Publishing and I will continue to work hard to provide thought provoking, virtuous, inspiring, and educational books and events. We also promise to do so while being entertaining and filled with passion. With God's help we can work together as one team and be committed to inspire positive change in our world and all humanity. 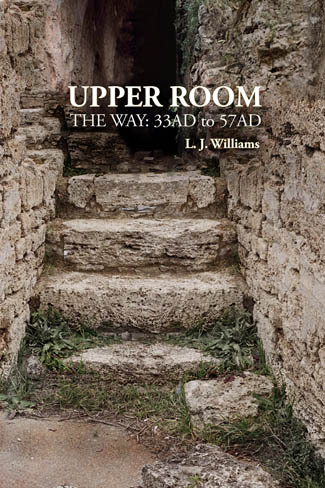 BBV Publishing has learned that the author of UPPER ROOM, THE WAY: 33AD to 57AD has posted a review on Barrie Schwortz's event. Please Click Here to visit L. J. Williams' Blog posting to read the review and a powerful closing line.